Artland was built from a dialogue with the art world community. Valuable and constructive feedback from every part of the spectrum has helped us shape the platform. In other words: Artland is social at its core. In this spirit, we are pleased to introduce “Guest Suggestions” – selected artworks chosen by inspiring players from the global art scene. “Guest Suggestions” is intended to provide you with artworks carefully curated by arts professionals, who generously share their knowledge and skills with you. 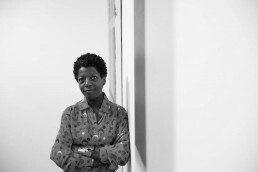 We are pleased to introduce the first guest, curator and art fair director Stephanie Manasseh. Can you elaborate on the selection of artworks and the interplay between the artists? How do their artistic practices complement each other? Did you work with a theme? For this first sale with Artland, I have chosen artists from several parts of the world to bring together a diverse group of artists whose work demonstrate both technical skill and more importantly, originality. Some of these artists are still considered ’emerging’ but I prefer to call them ‘under represented’ as they prove that their work is strong enough to show in any gallery setting or art fair. I have worked with all of these artists in one way or another in the last 13 years since creating Accessible Art Fair. As an art advisor, many of these artists’ works have ended up in private collections. I love to show the highest-end in unseen talent and offer the artists the platform to have their work seen by a much wider audience. 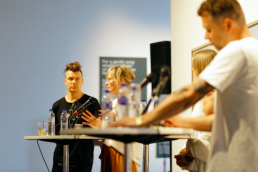 Can you tell us about your experience of bringing a selection of artists together on a digital platform? I am really excited about working together with Artland on this project. Not only do I get to hand pick the artists and their artwork, but on this platform we can reach an incredibly varied audience in all parts of the globe. The artists are very grateful to have this opportunity, as am I. In which way did you take the context – the digital space – into account in the curatorial process? Obviously artwork shown online is not the same as seeing it in real life. What I have tried to do is to assemble artists whose work speaks for itself. Should the buyer need other photos in different contexts, I will be able to provide these. People from all around the world get the opportunity to experience your curation. What do you hope they will get out of the exhibition? I am so glad to be able to reach such a wide audience. I love curating the art fair in its physical space but this is done for a local audience. 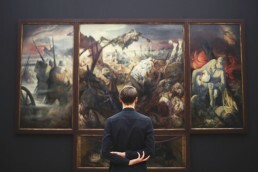 Having access to thousands of art lovers all around the world is a very exciting prospect. My focus in bringing these works together was on originality and quality and I hope these will be recognised. The rise of new technologies expand the notion of curating. What do you see as the opportunities and challenges for the curator of the 21st century? I think things are currently changing and the notion of ‘curatorship’ is evolving. This is both scary and exciting. More and more exhibitions outside of the gallery model are popping up and people who were not curators to begin with are now curating group shows or solo exhibitions in all types of environments. When done properly, I love the idea of people expressing themselves and having an opportunity to share their vision with the world. With regards to new technologies, many are jumping at the chance to curate their own web presence, which includes their Instagram page, which in itself is curating at the purest form.